CAN POWER AND CONTROL EXIST IN PERFECT HARMONY? In a 2006 Fusion, yes. The 2006 Fusion sleds are the epitome of controlled aggression – power balanced with confidence and predictability. 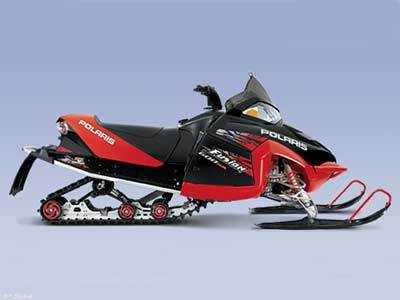 With styling American Snowmobiler’s 2005 Buyer’s Guide says “hits the bull’s-eye.” From the 600 HO: An industry-topping 120 hp and one of the best power-to-weight ratios in its class. To the 700: Hits the sweet spot between big-bore grunt and 600cc hot-rod performance. To the 900: With our all-new four-injector Cleanfire system for clean, brisk throttle response. More than pure, linear acceleration, the Fusion offers handling so dynamic you can do more than drop the hammer – you can slam it down and stomp on it. But do remember to stop occasionally, so your friends can catch up.